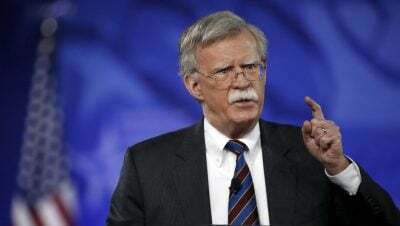 Update: Trump’s national security advisor John Bolton indicated during a speech on Monday that the United States, Britain, and France have agreed that another use of chemical weapons by Syria would be taken “very seriously” and will require a much “stronger” and harsher response. His remarks came during what’s being described as his first major speech since joining the Trump administration at an event hosted by the conservative Federalist Society at a Washington, D.C., hotel. Turkey’s defense minister has called for all air and ground attacks on Idlib to stop immediately, calling for an urgent ceasefire to be established, according to Turkish state media. It appears the Trump White House is now signalling that an American attack on Syrian government forces and locations is all but inevitable. But this time the stakes are higher as Russia has built up an unprecedented number of warships in the Mediterranean Sea along the Syrian coast in response to prior reports that the U.S., France, and Great Britain could be preparing an attack.